So yesterday I think I was over ambitious. I said I was feeling great… but I was trying to fool myself. I felt horrible in the morning. 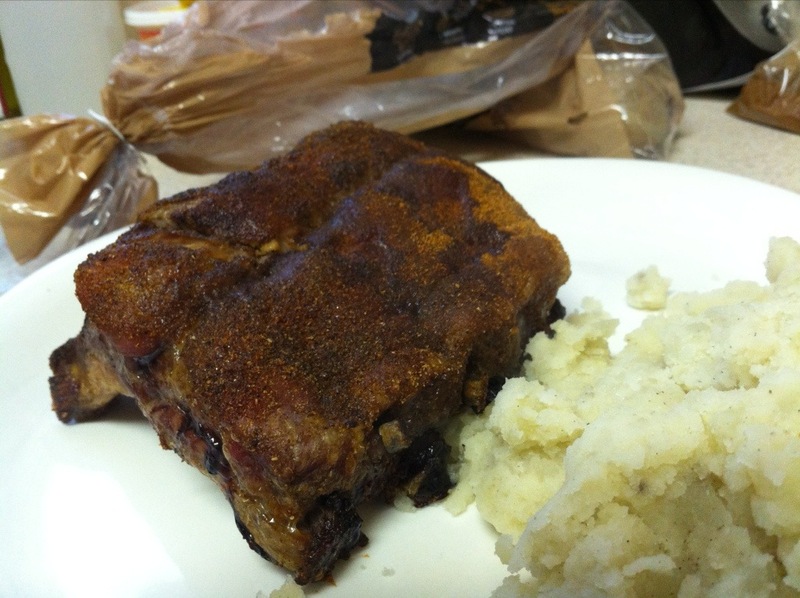 I had cheated on my paleo eating and had gluten ( CAKE) and legumes (baked beans) and who knows what else. And my body was telling me how much it appreciated it. Not to mention that little miss Emelyn has passed on a sore throat. Basically yesterday morning I did my 130 squats uncomfortably. But I did them! 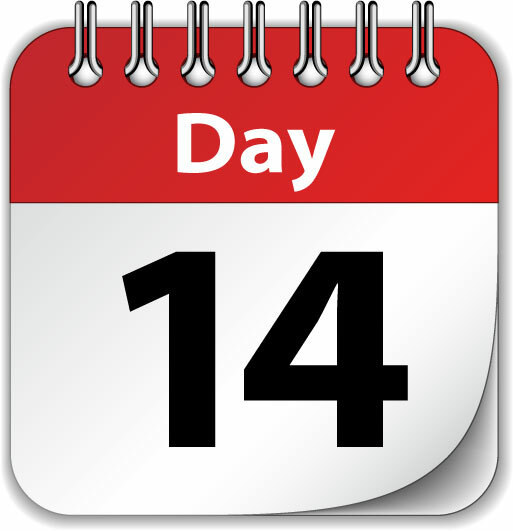 and with that I made it to today! 135 squats today! Lets do it! One of the harder things to live without when changing over to the paleo way of eating, is sauces. The mass produced, readily available sauces are full of nasty ingredients, and while they ” taste so good” they are not very good for you. So a few months back, you might remember the post I made on preparing my own ketchup ( click here for the post). It was a big success in my house, I loved it, and my ketchup hating hubby also liked it! So now I am going to attempt Jalapeno BBQ Sauce as seen on Paleo Pot. 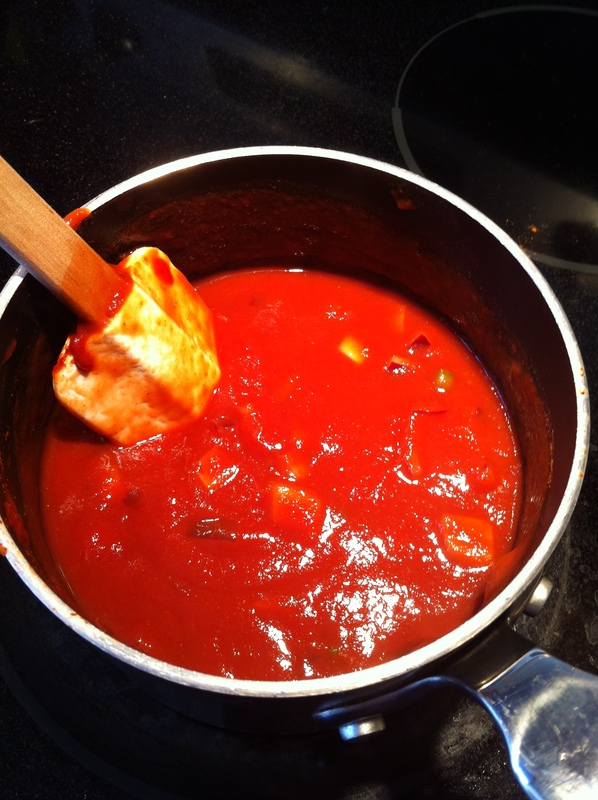 1 cup of tomato sauce. 1/2 cup of beef stock. 1 small red onion, diced. 1/3 cup of apple cider vinegar. 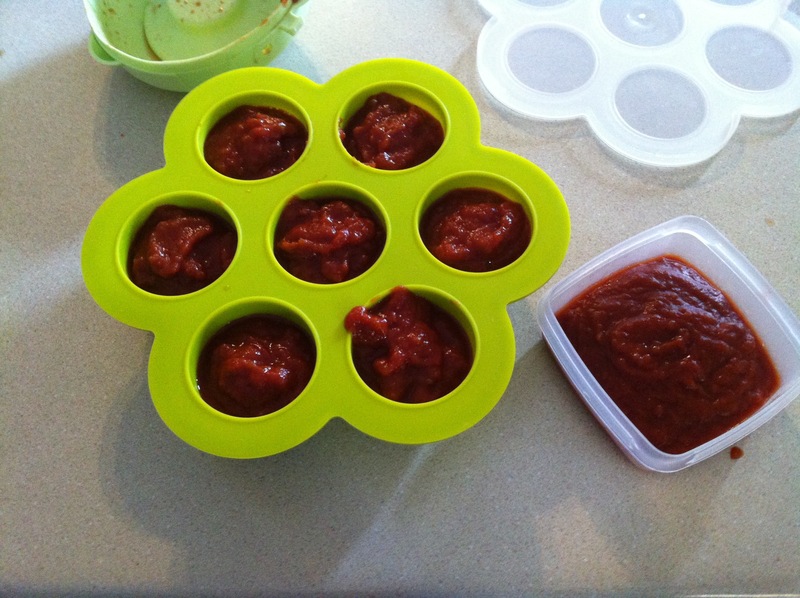 1 small can of tomato paste, about 1/3 to 1/2 cup. Combine all of your ingredients in a medium sauce pan and stir well. Bring mixture to a boil then reduce heat to a very low simmer. Simmer for 30 minutes, stirring occasionally. 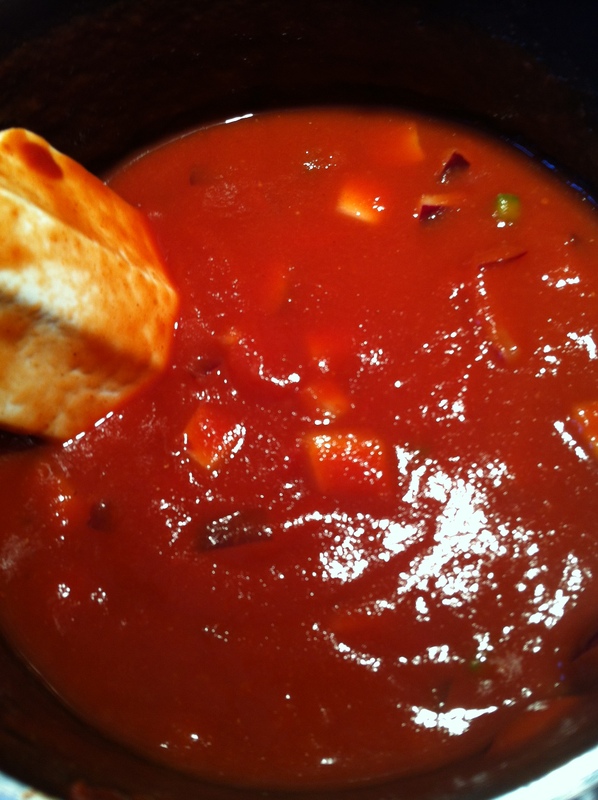 For a thicker sauce, reduce/simmer for longer. 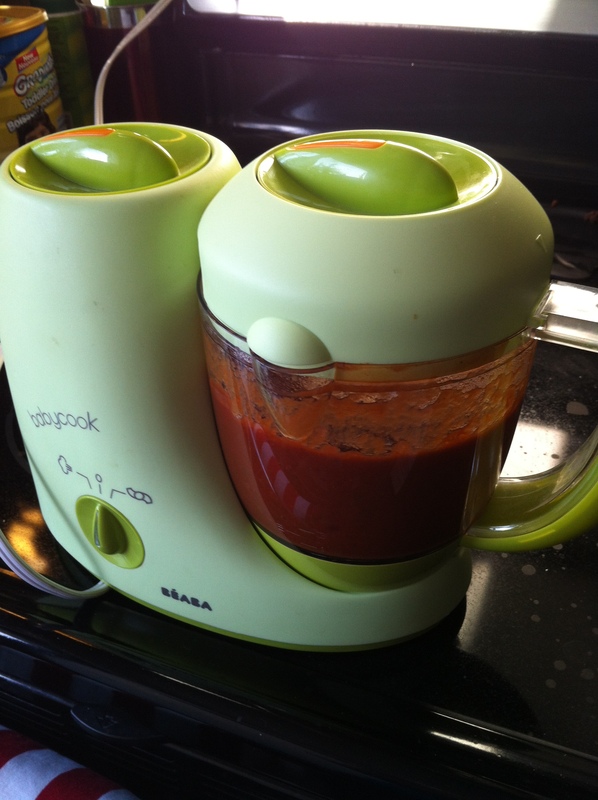 Blend your sauce in the pot using an immersion blender, or just use a regular food processor or blender. So, I started making this. The hubby came home, and asked if I was still up for date night?! EEEEEKKKK! I forgot we were going out! But thats ok, I have enough time to whip up some bbq chicken ( with other bbq sauce) and some salad for dinner all while finishing up this bbq sauce. What this all means is that I will just have to BBQ again tomorrow! I will never complain about that! Did you buy too many bananas? or too many strawberries? or really any fruit? Is it starting to turn and is about to spoil? 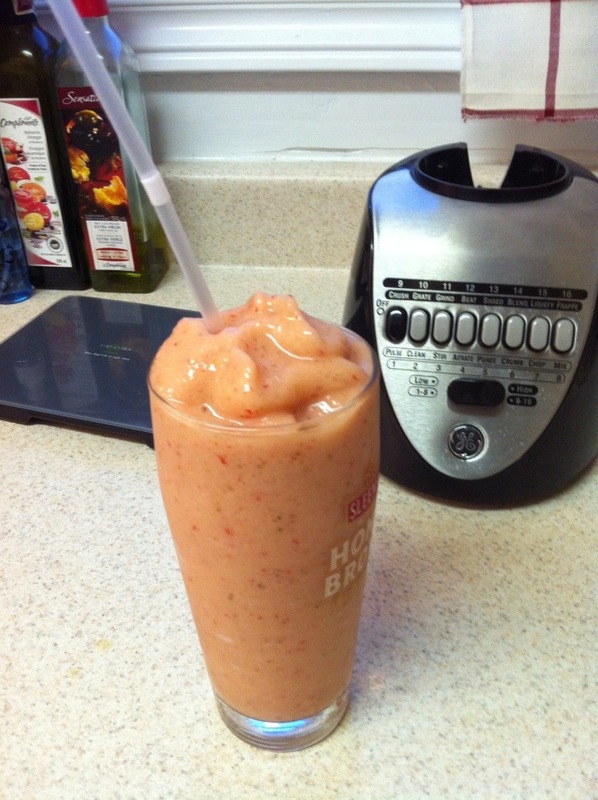 Ever buy frozen fruit from the grocery store? a bag of strawberries is like 6 bucks. If strawberries are on sale, you can get way more for the same price. AND fresher! So don’t toss out your fruit! Save it! Cut it up! Freeze it! 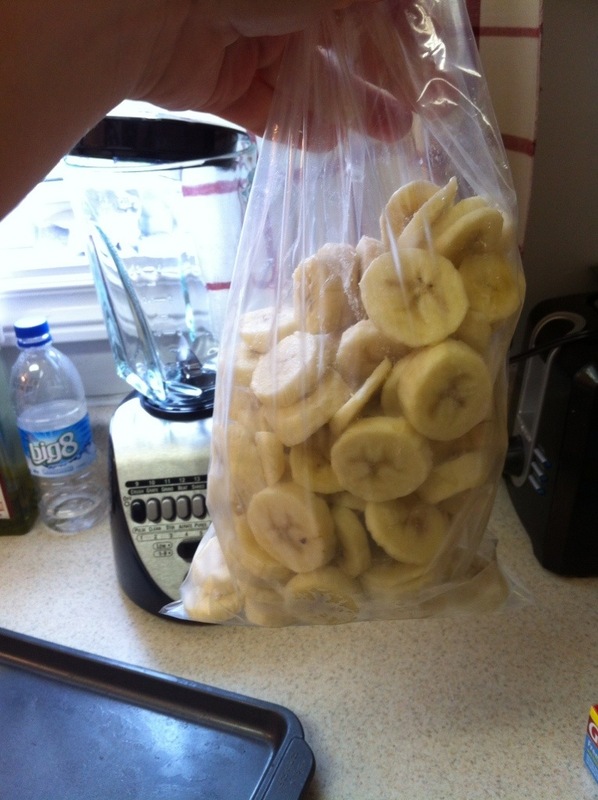 And Blend it up later! 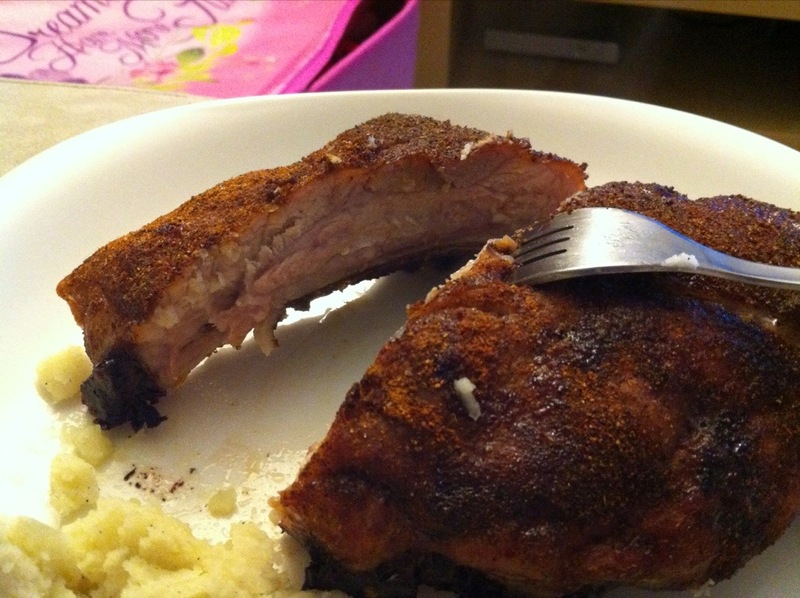 Who doesn’t enjoy a good rack of ribs? exactly. 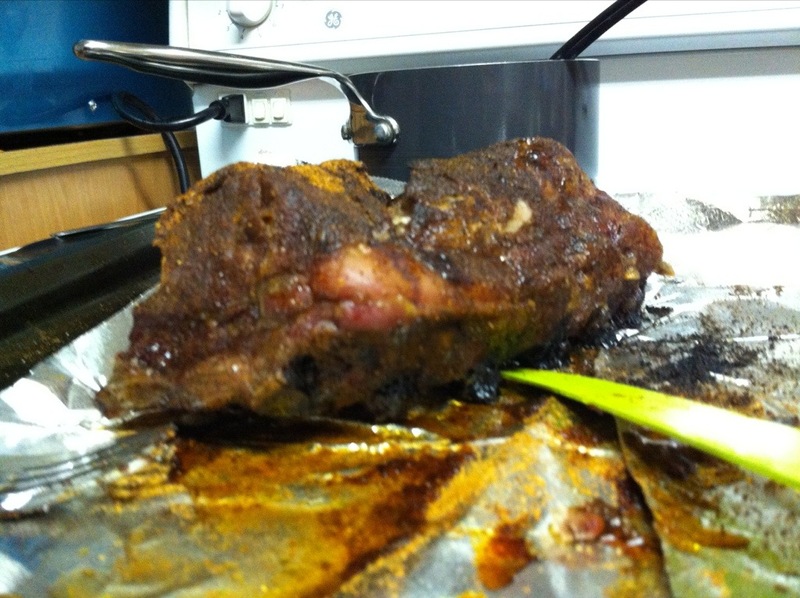 I LOVE ribs, slathered in BBQ sauce, falling apart in my mouth… Mmm. I spent a while online today trying to find a Paleo BBQ sauce that both looked delicious and I actually had the ingredients to make. No success. But that doesn’t mean that I cant have juicy delicious ribs. Really its easy peasy, I have lots of spices in my cupboard. 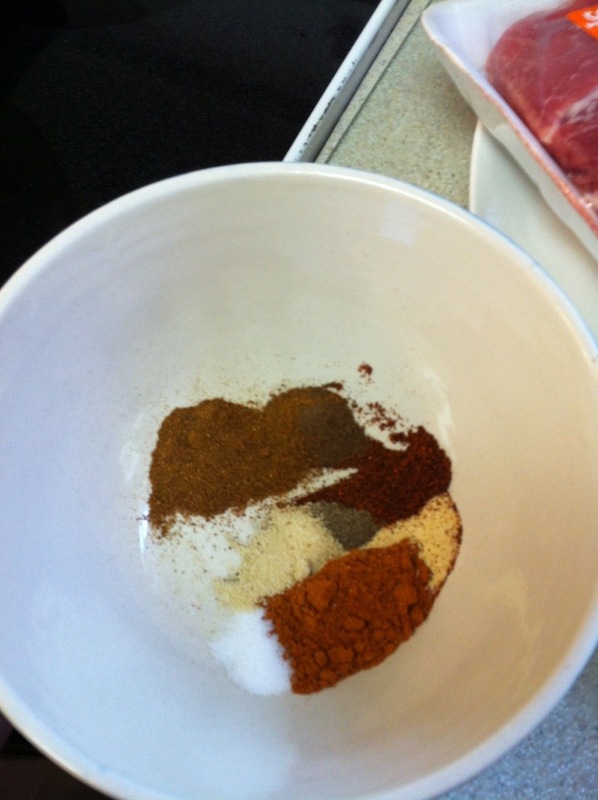 Lets make a dry rub! So, to make my ribs just follow these steps. 3. 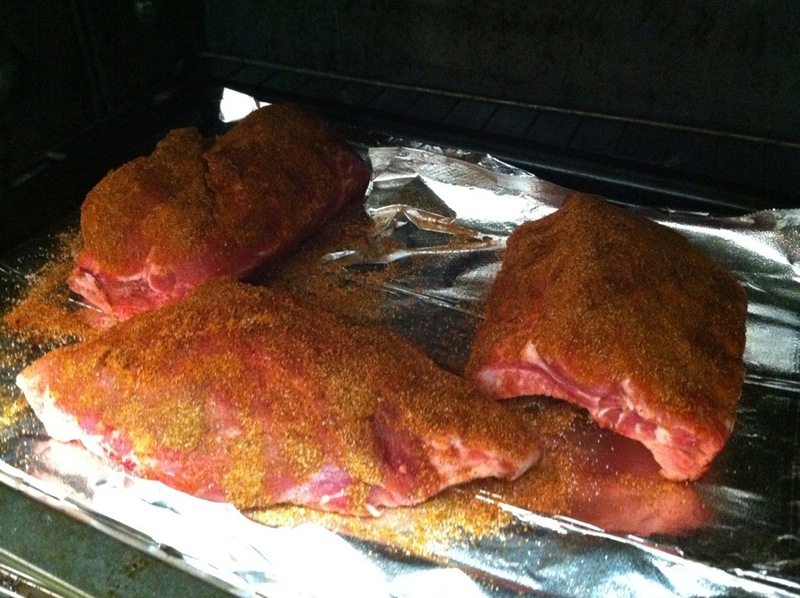 Rubs the stuff all over the runs.. toss in the oven… wait about 2 and 3/4 hours and voila YUM! 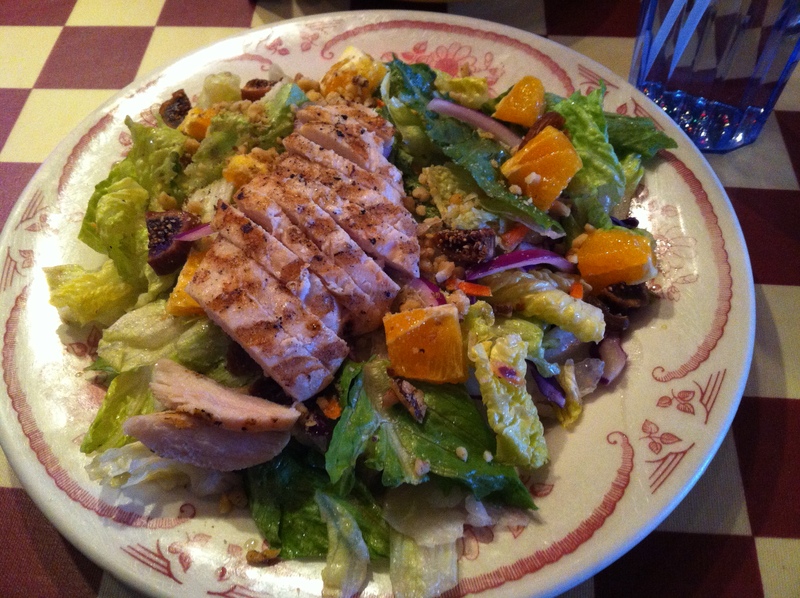 When following a paleo diet, I have been noticing that it is so much easier when I cook and prepare my meals at home. Probably this is due to the fact that I am pretty aware of exactly what is going into my meals, and therefore into my body. When traveling, its so hard to know whats in their foods. Soy and wheat are in almost everything. Even a chicken breast for a salad often contains soy…why?! I think a lot of places are pretty willing to comply with dietary restrictions as long as you talk to them about it. Probably not somewhere like KFC or Taco Bell. But a sit down place, that potentially can serve you REAL FOOD. Its good to know that I wont starve to death or always have to compromise when I am eating out. Another night of fail… but at least I learned from it! Failing has been a common occurrence the last few days. With Fathers day celebration and our trip out to Prince Edward Island. In this post I just want to point out my failure and my realization. 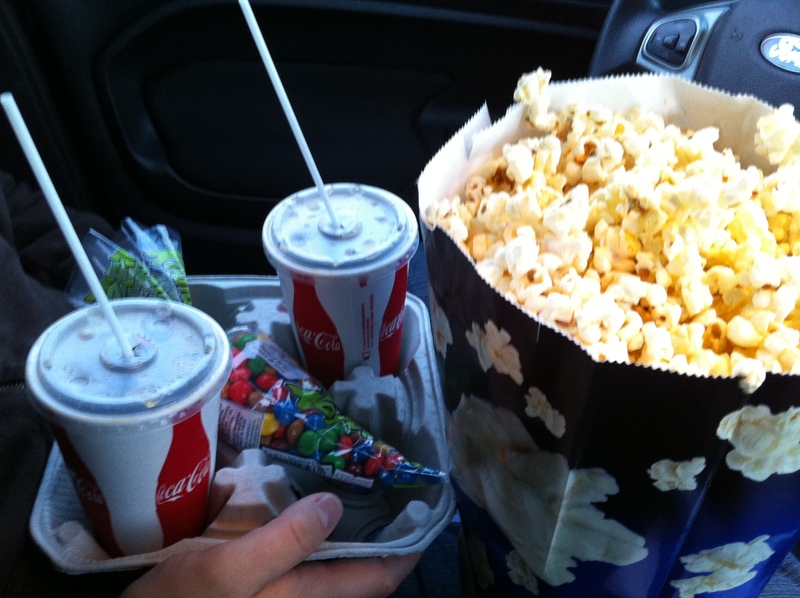 On PEI, we went to a drive in theatre. I haven’t been to one for at least 15 years… probably closer to 20. I think the nostalgia got me to, because when i went up to the canteen for our two free small sodas ( which would also be a fail.. but a much smaller one) This is what I came back with…. Now… For the first few bites these were very good. So good in fact that i felt like stuffing it crazily in my face. I didn’t. But I did munch on a good 1/4 of the bag. And shortly I started to not feel very well. So i did the wise thing. I stopped eating them. Regretting the fact that I even purchased it in the first place. I had a bag of sliced apples in by bag and opted in eating those for the rest of the movie. Even Darcy noticed that they didn’t make him feel too great and wished we just stuck to eating our fruit as a snack. Once we got back to our cabin, I noticed that I had the fist really bad stomach ache I have had since starting my paleo eating. So my big realization. I shouldn’t consume corn! Perhaps this has been my problem for the last few years? And sure, popcorn, corn on the cob, and tostitos are so good. But just maybe, I shouldn’t eat something that 1. looks the same going in as it does going out. 2. has been majorly genetically modified. Nothing seems natural about that. So I think that, even on my paleo cheat nights, I will avoid corn. The pain and discomfort just isn’t worth it. Not when I could be cheating with vodka or ice cream! I made it up as i went along. I don’t have exact measurements, only estimations because i didn’t measure anything in the making of these wings. 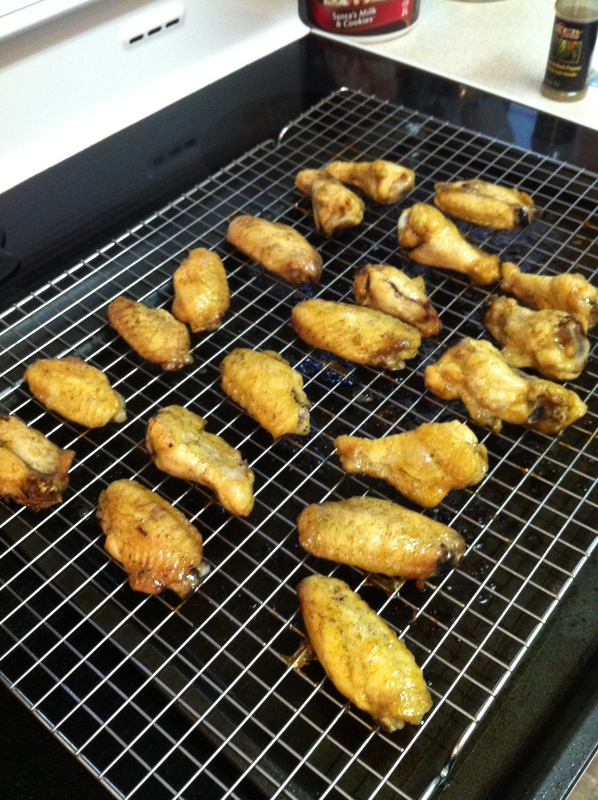 Place chicken wings on a wire rack over top a baking sheet to catch the drippings. 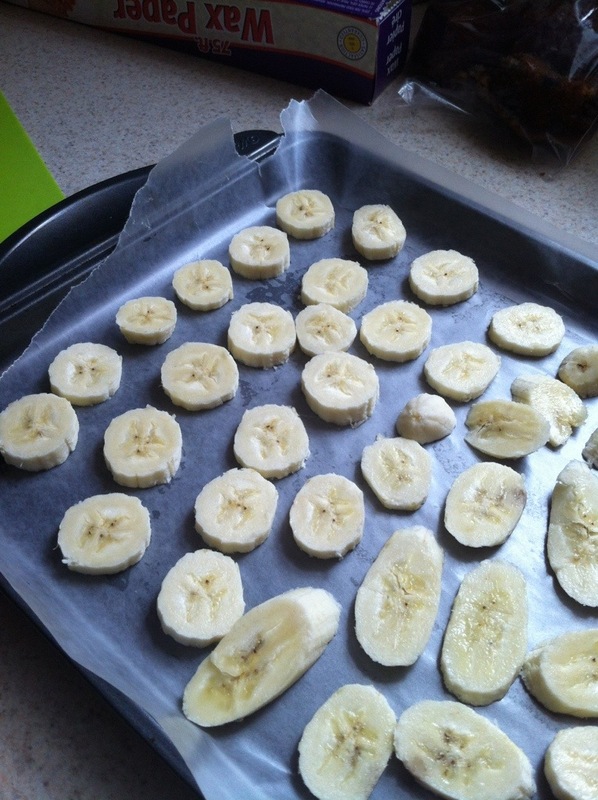 place in oven and cook for 15 minutes, turn and cook another ten minutes. In the meantime, in a bowl mix the following – pepper, half a lemons worth of juice, some lemon zest just for kicks, and a few tablespoons of melted butter( or your alternative if you aren’t lacto paleo). Mix it all up! brush it all over your mostly cooked wings and cook for another 5 minutes, turn and brush on the mixture to the other side of the wings and let cook for a few more minutes. Your wings should be done! Now if you read my other post, you would know that I feel pretty crappy today, so i only had a few of the wings. They were good. Darcy however ate most of them, and he just kept going on and on about how juicy and tasty they are. He kept asking me if I could make them again exactly the same. So I think i did a good job on these. WooHoo! 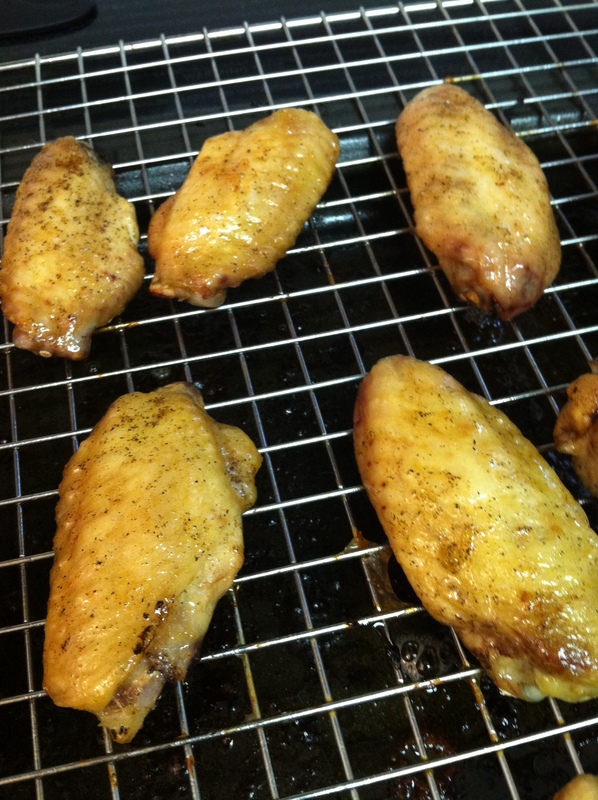 So here is a picture of the wings, I didn’t take more, but really, who wants to look at pictures of raw chicken… the finished product is where its at! I have not been OK.
Day…. 24? Where have I been? Colette on I have not been OK.
Mira on I have not been OK.
cisforcookiesite on I have not been OK.
lifealternatingevent… on I have not been OK.